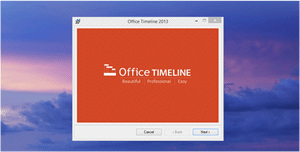 Thanks for downloading Office Timeline! We are hard at work to make project professionalism quicker and easier for you. We know you’ll love it! If not, click here. It could take a minute. Click Run to launch the setup wizard. Then, just follow the easy steps. 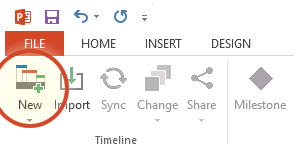 Inside PowerPoint, press New on the Office Timeline tab to begin. For years, I’ve used a tedious cut-and-paste approach to laying out timelines and schedules for important meetings. 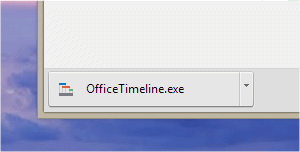 I was searching for a better way and eventually found Office Timeline. What a god-send! It’s a snap to add or adjust timelines and schedules. Everyone who sees my slides ask “How did you create that?” Office Timeline makes it so easy to customize things and packs a ton of information on a legible slide. I was looking for a new way to convey Project Schedules and key milestones to my customers and managers. Timeline makes this process absolutely hassle free. Now I present just the right amount of detail, in the right format, and my audiences really appreciate seeing this graphically. It has saved me time and made it easier to communicate my projects in a more impactful way. See how to make impressive timelines in under 3 minutes. Impress colleagues. Thrill clients. Stand out with management. We believe project professionalism should be quick and easy...and we're glad you are here.